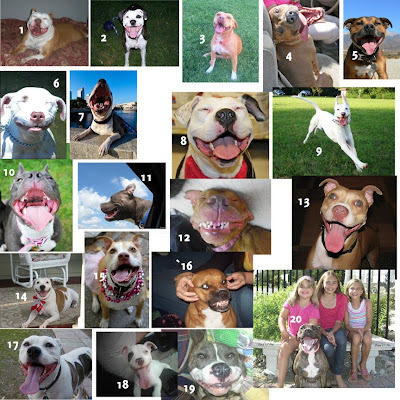 Oh my, this is such a HUGE source of joy for me, this collage of pit bulls smiling. Thank you so much to The Positive Canine and their iloveyourfurryface blog! I honestly can't decide which is my favorite, I love them all so much. 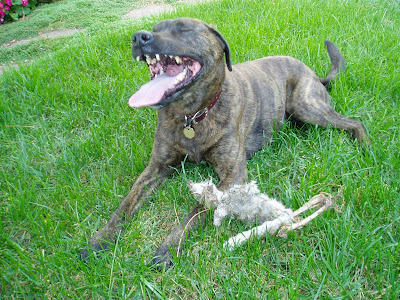 Almost as much as this half-pit laughing triumphantly about the bunny he found.